Mess in the house can tell a lot. Even if it is banal laziness, lack of time or the so-called creative mess — all this indicates serious problems in your family. The cabinets are full of unnecessary things, dirty tub, cluttered hallway in the house attract bad energy and bad luck in different spheres of life. So say biological energy therapeutist and experts on Feng Shui. The kitchen is the room where we eat, that is charged with a certain energy. Accordingly, it should be cozy and clean. Untidy kitchen is an indication that home owners neglect the sources of energy and exuberance. And no matter how you tried, financial prosperity will pass you. Living paycheck to paycheck and eternal debt — that's what awaits you if the kitchen is a mess. Simply put, money will always slip through your fingers. In addition, the presence of many unnecessary things in the kitchen provoke extra weight in the household. In the bathroom you start your day. This is the place where collects more negative energy coming from the street you wash away the dirt and the dust itself not only in physical but also in terms of energy. That's why cleaning the bathroom is necessary as often as possible. If you are all chaotically cluttered with empty bottles and cans, there are baskets overflowing with dirty Laundry — the inferiority complex and lack confidence in their own forces there. All this suggests that your self-esteem is low, you don't love yourself. But if this attitude, and about the love of family to speak of. Clean the bathroom, then the luck will smile to you guaranteed! In this room, usually stored detergents and various cleaning devices. Of course in the toilet without them is difficult to do, but look closely — surely there are the old cloth or an empty bottle. Our mind is filled with what we are ashamed of and would like to forget, "trying to suppress the unconscious" (Freud), and along with it bury your intuition and insight deeper and deeper. As claimed bioenergy, you should always keep toilet clean, then old grudges, and most importantly, the annoying frustration will remain in the past. 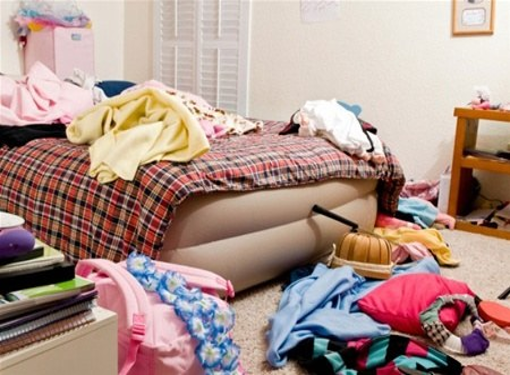 In the presence of disorder in the room: a pile of scattered shoes, clothes, junk, boxes, etc., you are endless clarify the relationship and quarrels in the family and financial problems. In this house there is no desire to be, it is better to stay longer at work or away. This room is responsible for good relations with the outside world. It should be snug and clean. If the room is too cold or even repulsive — this leads to being alone on a subconscious level. Family members do not want to assemble it, the guests seldom visit your house, and any holidays become boring gatherings. Living room needs to interest and attract, and then the people you will attract. In the bedroom creates happiness and builds up some energy. Feel tired all the time or arguing with relatives? Place your order in your bedroom. Update your curtains, add a beautiful decor or just move the furniture.